Long time with no posts or updates here. It seems like desert, sorry for that but I am sure people who follow me on twitter knows I was busy with my Master’s Thesis in Procedural Content Generation (PCG). I have always used PCG in my games as an excuse for being lazy and not designing levels (as I am not amazing level designer). In this post I will wrap up quickly some of the PCGs I used in my games. In the next post will talk about PCG in my Master’s Thesis. As most of people noticed lots of my arcade games used PCG especially top down shooters (Clean’Em Up and Alone in the Park). All these games don’t have levels designed in advance, but instead they have enemy numbers and types to be generated. The system afterwards choose the most suitable location (away from the player position) and insert them. Pace Maker was a little different where the system generates the types and numbers based on the level of difficulty so as difficulty increase the number of enemies and variety of types increased. 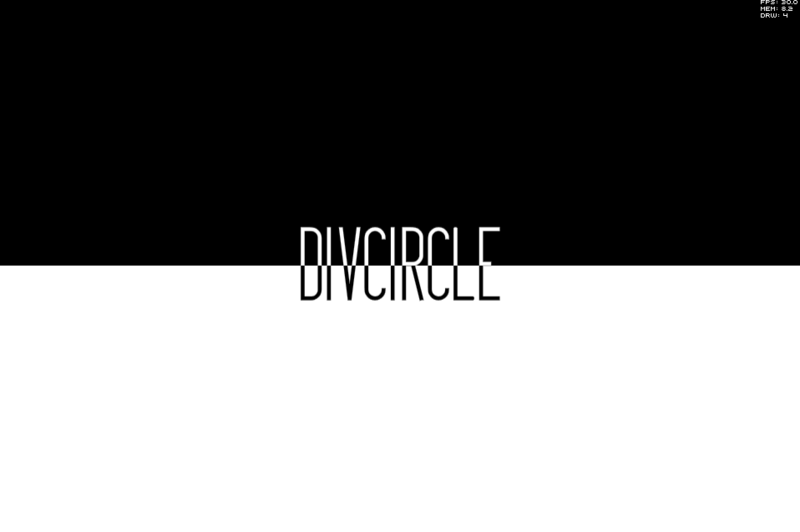 I don’t know if there is still some followers to my blog, but if there I wanna say DivCircle is now OUT on AppStore and on GooglePlay. Get your headphones and try that experimental game and experience how different people feels toward developed societies. That’s everything for now 🙂 I am so busy right now applying for PhD degree so Pray god I got accepted in a PhD degree so I can work on Procedural Generation and stuff I love and I can get out of my country at same time. Thanks for supporting me all this time. From the name of the post its already known that I am working on a new game called DivCirlce for mobile devices (iOS, Android) The game was done for Arabic GameJam 2014 theme Invisibility (Btw I didn’t attend the AGJ because I couldn’t get a visa before travel) I worked on the game from here in Egypt at same time of the gamejam. Thanks to Samer he showed the game to people there and get some nice feedback from them which made me very happy and thought to put more work on it and use the talents of my amazing musician and brother Essam El-Ghamdi (Agent Whiskers).